Be the first to share your favorite memory, photo or story of Yuvette. This memorial page is dedicated for family, friends and future generations to celebrate the life of their loved one. 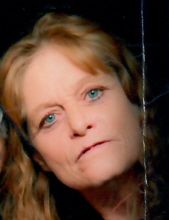 Yuvette Madeline McClurken, 61, of Coulterville, passed away Saturday April 6, 2019 in Coulterville Rehab in Coulterville at 9:43 pm. Yuvette was born August 6, 1957 in Baltimore, Maryland to Reuben and Bessie (Galbraith) Davis. She was a member of the Oak Grove Baptist Church in Pinckneyville. She was preceded in death by her parents and her husband David Queen. She is survived by son, Randy Joe Hester (Robin McCrary): daughters Rachel Hester and Gretchen Winter (fiancée John Kemp); brothers: Reuben Joe (Diane) Davis and Charles (Sandy) Davis; sister Paula (Bob) Peters; and 6 grandchildren. Funeral services will be held on Wednesday April 10, 2019 at 2:00 pm at the Oak Grove Baptist Church in Pinckneyville, Illinois with Rev. Keith Rankin officiating. Burial will be in the Oak Grove Cemetery in Pinckneyville. Visitation will be from Noon-2:00pm at the church prior to the service. To send flowers or a remembrance gift to the family of Yuvette Madelene McClurken, please visit our Tribute Store. "Email Address" would like to share the life celebration of Yuvette Madelene McClurken. Click on the "link" to go to share a favorite memory or leave a condolence message for the family.